As a mother of three dyslexic boys (incidentally – all of whom have studied successfully at tertiary level and now have highly successful careers) this topic and its relationship to reading success is close to my heart. Interestingly the now well-recognized longitudinal Dunedin Study seems to indicate that the ability to persist and focus has much greater impact on reading ability. This ability can be a side product of the difficulties encountered by children with dyslexia but it seems to be that the inability to concentrate before early reading happens is more likely to be a factor in poor reading outcomes. However, with a far greater understanding of the physiology of dyslexia there is now an acknowledgement that dyslexia stems from physiological differences in the brain circuitry. Those differences can make it harder, and less efficient, for children to process the components of language. Children who do not have the ability or will to persist will find the hurdle of dyslexia much greater. Our Read Think Learn activities use a font called Open Dyslexic which removes some of the barriers experienced by dyslexics. 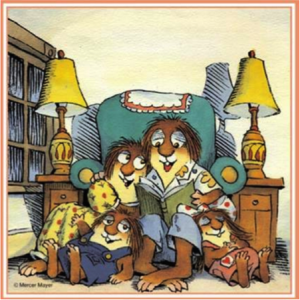 Making reading fun is the first step in getting children to engage in reading. Mike Jones, himself dyslexic, explains the Nessie Philosophy of making reading fun and skills more memorable in this article. Explore the fun of Dr Seuss, Roald Dahl and other popular books. Choose a letter and spot how many street names begin with that letter as you drive. Person with the most ‘hits’ wins.